A play on the saying "plenty of fish in the sea" and the old "the princess is in another castle" but when you live in a fish bowl, you have limited access to castles (usually just one). We've been playing the Legend of Zelda recently and it got me thinking about the games I played growing up. We would play Super Mario 3 on the old NES, with the rectangle controllers and 8-bit graphics. Good times. 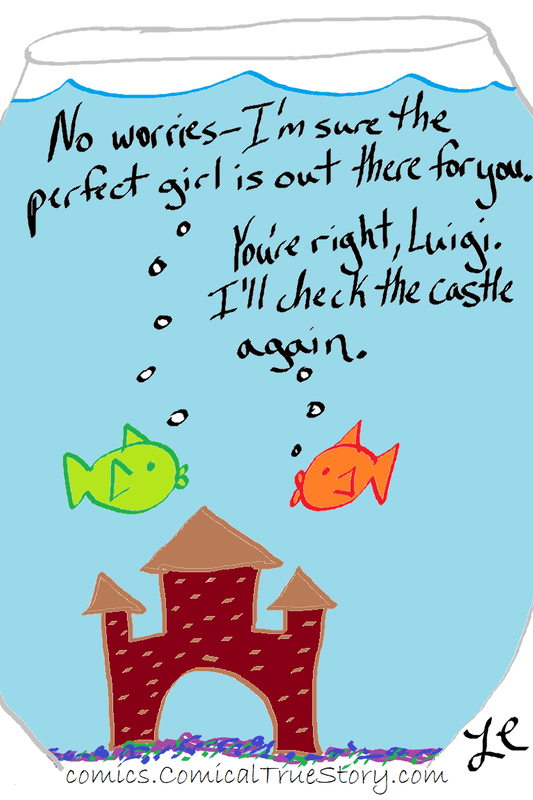 Luigi: No worries - I'm sure the perfect girl is out there for you. Mario: You're right, Luigi. I'll check the castle again.